A 35-year landmark on San Diego Bay could be in store for some 21st-century changes. 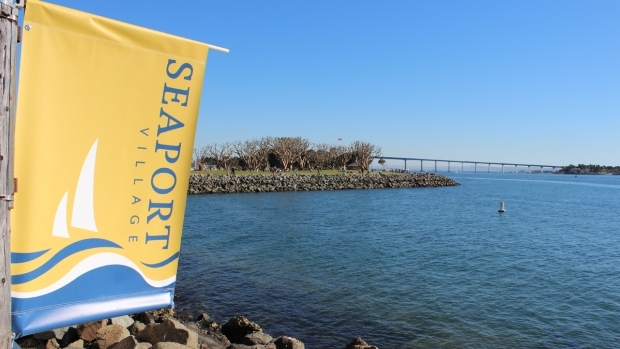 Seaport Village has been a prime sightseeing, shopping and dining destination for locals as well as tourists. On Tuesday, Port commissioners voted to seek development proposals, with the idea that renovations might generate more visitors and revenue. That idea is unsettling to Seaport Village tenants and their customers who spoke with NBC 7. "It's a very unique place that's been as it is for a really long time, and I think that's the biggest draw for people coming back -- locals and people visiting,” said Michelle Beauchamp. She runs Swings and Things, a store specializing in craftwork hammocks and notions in the interior of Seaport Village. Beauchamp is one of dozens of shopkeepers and restaurateurs who employ hundreds of workers in the 13-acre complex. Areas surrounding Seaport such as Tuna Harbor also are in line for potential upgrades. Port officials didn't think a renovation proposal by the village's current operator would be prosperous enough. What we heard there Tuesday was a lot of support for the status quo -- or an updated vision that brings minimal change at the most. "I realize a lot of it is tourism here, but it's nice for the people who live here too to have a familiar place to go to,” said Julian resident Lennie Dubler. “You don't come to a place like this all the time." "I think that it's beautiful the way that it is,” said Jayme Newell, a South Riding, VA, resident who told NBC 7 she’s now been to Seaport Village twice while visiting San Diego. Coronado resident Tamara Brown shared these thoughts: "We just ate at a sandwich place that was nice and homey and small-time. I like the feel of the little town that they have going on here." This, from Anaheim resident Kent Hemseri, a frequent visitor to San Diego and Seaport Village: "If it's working, then leave it alone. I know the city of Anaheim a long time ago tore down a lot of old historic buildings, and they probably wish nowadays that they hadn't done it. It's hard to go back." Port officials say they'll be working through a bid selection process that could lead to decision-making within a few months. Shopkeepers who didn’t want to be quoted think there's a likelihood of higher rents and some lease expirations when all is said and done.